"Can Maine become the Start-up State? -- Lessons from Start-up Nation"
Maine and businesses in Maine face a number of challenges in the effort to remain competitive. Our population is small and it is aging. Our location does not afford us direct access to large concentrations of talent or capital. Our infrastructure is limited, and connectivity must be improved. With all of these challenges, how can we get ahead? Why has Israel succeeded? And what lessons can we learn from what many are calling "Start-up Nation?" Join us for a provocative and informative discussion on what Maine can do to get in the game! Perry’s email is pbn@atlanticagroup.com. Perry B. Newman is the founder and president of Atlantica Group LLC. Founded in 2000, Atlantica Group is a global business development consultancy based in Portland, Maine. Atlantica Group assists business, governments and not-for-profit organizations in achieving international development objectives. Prior to forming Atlantica Group, Mr. Newman served from 1996 – 2000 as Maine’s first Director of International Trade and President of the Maine International Trade Center. In that capacity and as an international business attorney he has facilitated exports, projects and exchanges with partners in more than twenty-five countries on four continents. In 2000, Mr. Newman was selected by the European Union to study project and infrastructure development in Brussels and Scandinavia. He serves as the Chair of the Maine District Export Council, appointed first by United States Department of Commerce Secretary William Daley (Clinton administration), then by Secretaries Evans and Gutierrez (Bush administration), and most recently by Secretary Gary Locke (Obama administration). Long an advocate for international business and regional economic development, Mr. Newman is the author of the export guide, “The Ten Commandments of International Business,” which is now available in French, as well as in English. 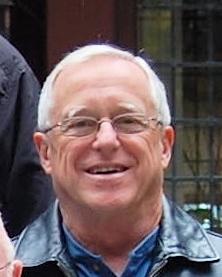 A frequent speaker and writer on global business topics, Mr. Newman’s work has appeared in Northeast Export, World Trade Magazine, Corp!, Progress Magazine (Canada), Israel 21C, the National Law Journal, the Cleveland Plain Dealer, the Lewiston Sun-Journal, the Bangor Daily News, the Portland Press Herald and The Forecaster. 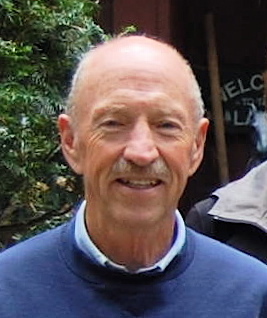 An adjunct professor of international business at the University of Southern Maine, he has spoken to groups on international business and economic development throughout the US and in Canada, and has been interviewed on such matters by National Public Radio, the Wall Street Journal, US Business Review and the CBC, among others. Mr. Newman is a graduate of Oberlin College (B.A.) and Washington University (J.D. ), and has served on the Board of Directors of the French American Chamber of Commerce for New England, the New England Canada Business Council, and the New England Israel Business Council. In 2004, Mr. Newman was named Canada’s first Honorary Consul to Maine. In 2010, the State of Israel honored Mr. Newman for his “remarkable efforts” to promote economic collaboration between Israel and New England. Also in 2010, the Jewish Community Alliance of Southern Maine presented Mr. Newman with a grant to study joint Jewish - Arab economic development initiatives in Israel. Mr. Newman is an avid musician and is married to Sharon G. Newman, an attorney with expertise in environmental law. He has two grown daughters. Helpful strategies for dealing with arrogance in others and, even occasionally, in oneself will be covered. Stephen Jenks, of Greyledge Consulting, has focused his work on helping technology-based early stage venture-backed companies become fully viable and meet their potential. Fritz Steele, of Fritz Steele consultants, works on organizational health and organizational ecology: the intersection between workplaces and how people use and are affected by those spaces. Registrations are required by April 16, 2013. If you want to be included on the registration list at the meeting then you need to register by the due date.